Asus has taken a fairly drastic approach to slimming down the new version of its established ZenBook, making it more like the MacBook than the MacBook Air in the process. The new laptop weighs 2 pounds and is 0.46 inches thick—both superior measurements to the MacBook—but it also packs a 12.5-inch display. Asus announced a slew of new Transformer devices this morning, but the best of the bunch is probably this one—the Transformer 3 Pro. With a “stepless” hinge and high-grade cover keyboard, it’s reminiscent of Microsoft’s Surface. It runs Windows 10,weights 1.5 pounds, and can be configured to have an i7 processor, 1TB SSD and 16GB of RAM. It’ll start at $1,000. The latest range of Asus smartphones also deserves a quick mention. There are three in the range—ZenFone 3, ZenFone 3 Deluxe and ZenFone 3 Ultra—and they all look kind of similar, with 2.5D Gorilla Glass and solid metal casings. Perhaps most tempting is the base model, the ZenFone 3, with looks that bely its modest $250 price tag. On the inside, there’s a Snapdragon 625 chip, 3,000 mAh battery, 3GB of RAM and 32GB of storage. Not setting the world on fire, but at least it’s pretty. 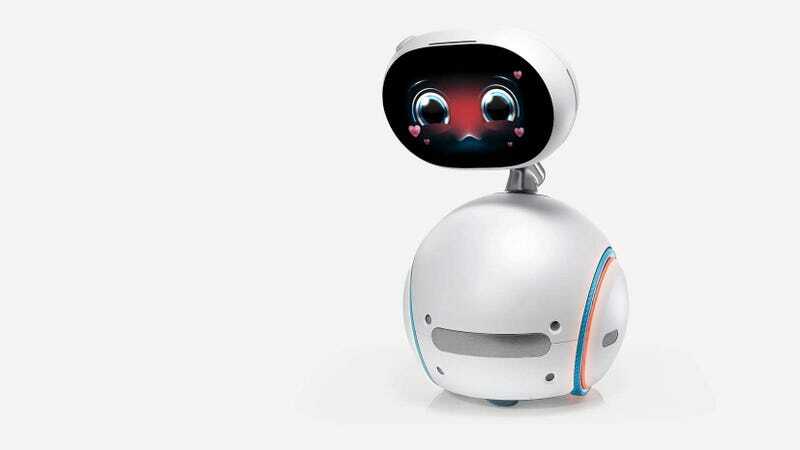 And then, there’s the Zenbo robot. Apparently aimed at older people, it’s designed to link smart devices that already exist in the home, whether that’s lights, camera, fire alarms, air conditioners or whatever It trundles around on wheels, waiting for you to prod its touchscreen face to make video calls or browse the internet or control your home. It’ll cost $600 when it goes on sale.